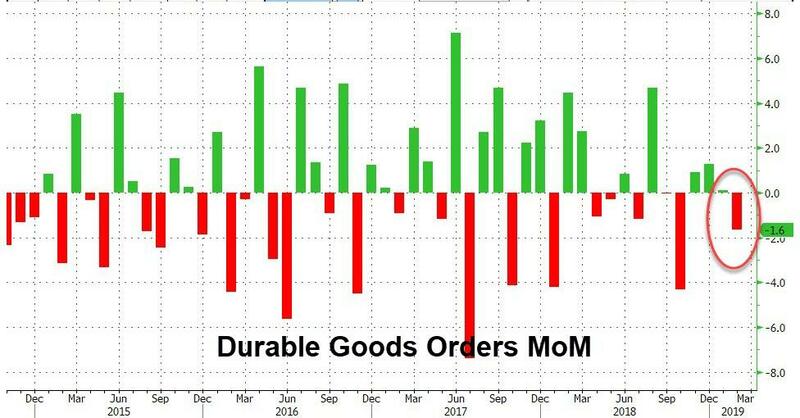 After a modest rebound from October's collapse, Durable Goods Orders were expected to slide lower once again in February but the drop (down 1.6% MoM) was slightly better than expected (down 1.8% MoM). Additionally, January's data was revised lower (from +0.3% to +0.1%). 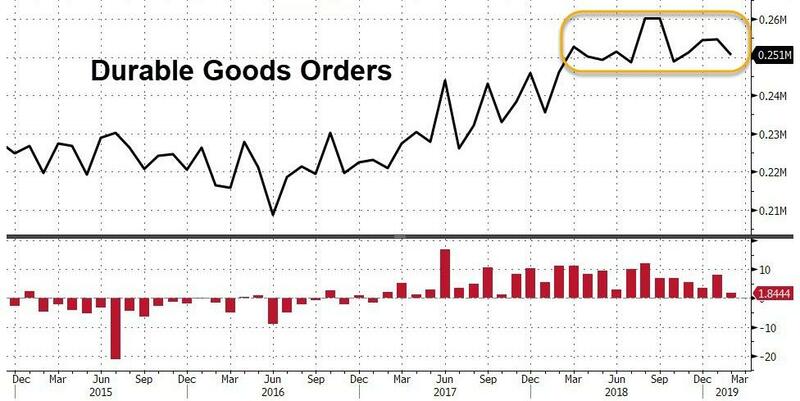 On a year-over-year basis, durable goods headline data rose at only 1.844% - the weakest since Oct 2017. 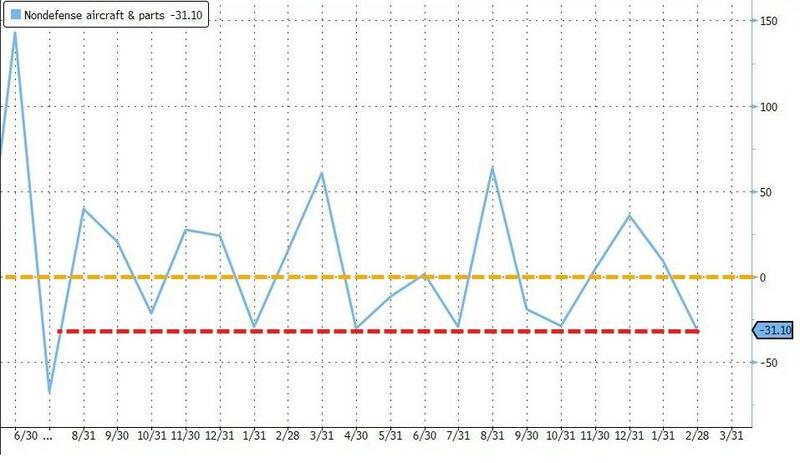 Capital Spending proxy (Cap Goods Non-Defense, Ex-Air) slipped 0.1% (worse than expected) for the third time in four months, suggesting corporate investment remains subdued amid a slowing global economy and uncertainty over the trade war with China. 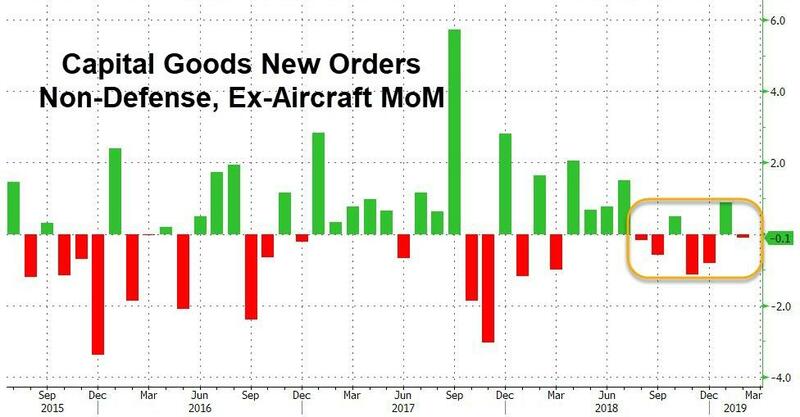 Critically, non-defense aircraft and new parts orders plunged 31.1% MoM - and this is before Boeing's impact.